Gmailify: What the Hell Is it? 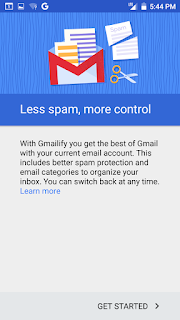 Recently, the Gmail rolled out a new feature in the Gmail Android app that they call Gmailify. But what is it really, and why is it beneficial? 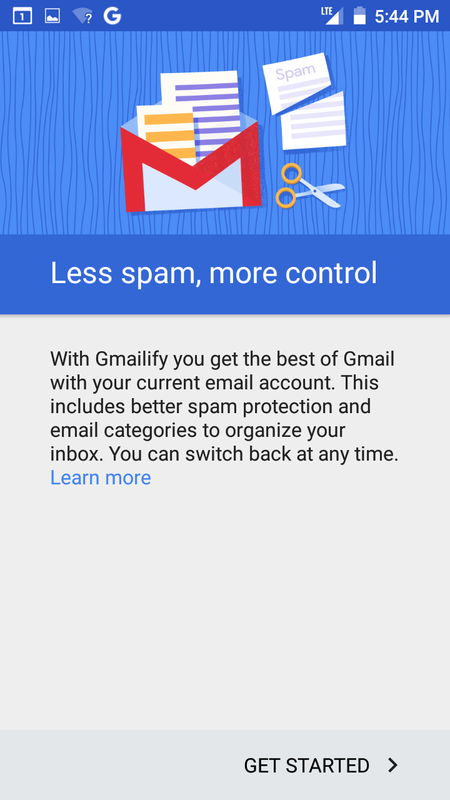 In addition to the above list, Gmailify enables your other emails to have a 2-way sync with the original provider. So any emails or actions will be reflected in both Gmail and the original provider - folders, filtering, etc. 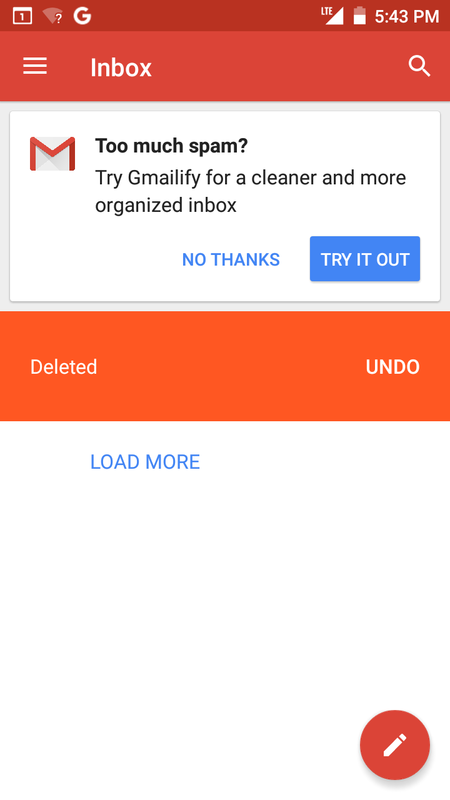 The best part of this feature for me is that once you set this up in the Gmail mobile app, everything that happens here, is also reflected in Inbox by Gmail, which simply means that Inbox is no longer just for @gmail.com or Apps for Work accounts. That is a pretty huge deal. Enabling this feature is very simple with easy to follow instructions. 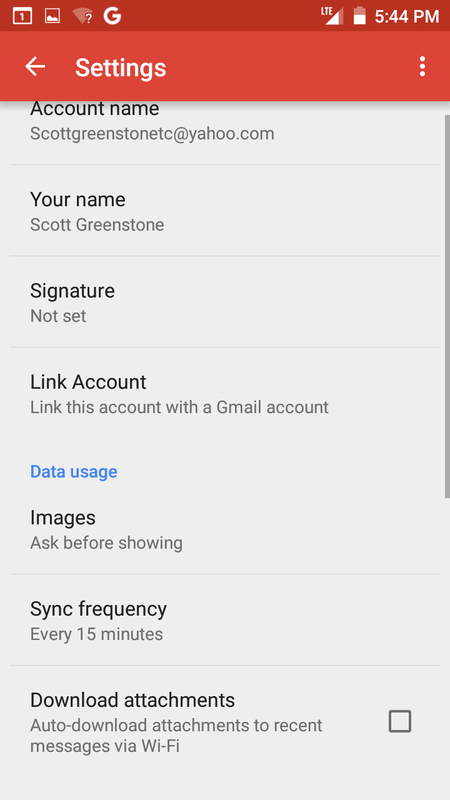 First step is to add your Yahoo/Outlook/Hotmail account to the Gmail app. Click on the three horizontal bars on the top left and click the down arrow next to the current account to expand the menu. Choose Add account and then select Personal (IMAP/POP). You will be prompted to add the email address, and it will then provide you an opportunity to enter the password (make sure you check off keep me signed in). The next screen will display the permissions that are being granted, choose Yes. The app will automatically add the appropriate server settings and then ask you some questions about syncing and notifications, answer as appropriate. The account with then be created. Now to Gmailify, you will now click the three horizontal lines on the top right to open the menu, and scroll to the bottom and tap settings. Choose the account you want to Gmailify and in the middle of the next screen you will see Link Account, tap on that. You will be prompted to sign in and you will see the permissions screen again. Once done, everything will sync up and this account will now be linked, not only in the mobile app, but you will see it in Gmail on the desktop and Inbox on both desktop and mobile and you will be able to send from this account from either program. If you change your mind, you can easily go back into the app settings, select the account and at the bottom is an Unlink account option. If you choose that, you will be prompted to keep or delete copies of those emails on your Gmail account. If you choose to delete, tehy will only delete from Gmail, not from the original location. 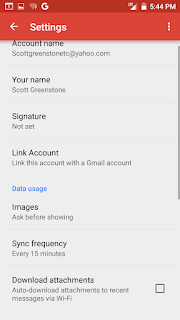 For more information directly from the Gmail team, see the Help Center article here. I gmailified my hotmail account and now it's deleting all my emails in hotmail, basically moving everything to hotmails deleted folder and has removed all the emails I had in all my different hotmail folders. How do I fix this? If I move an email back from hotmails deleted folder then I get a new copy of that email with the current dates timestsamp not on it. I had a forwarding rule set up on gmail to forward to my hotmail email and delete from gmail server. I disabled that forwarding rule after a few hours when I noticed loads of old emails coming in to hotmail with the current days date on it. I assume this is the cause. Since it is syincing, I see that my emails are now removed from my Yahoo account. I don't want that. I want to keep them as a back up on my Yahoo server. Right now I'm having difficulty getting healthcare.gov to remove my old yahoo account from their database and it is constantly sending email to the yahoo account instead of gmail, although gmail is in the database as my only account. They won't let me set up a new account either. I'm going back to just checking yahoo and not doing the forwards. I have tried unlinking my yahoo account from gmailify multiple times, and choosingto delete copied emails everytime. Yet the copied emails are still present in gmail account, what do I do?